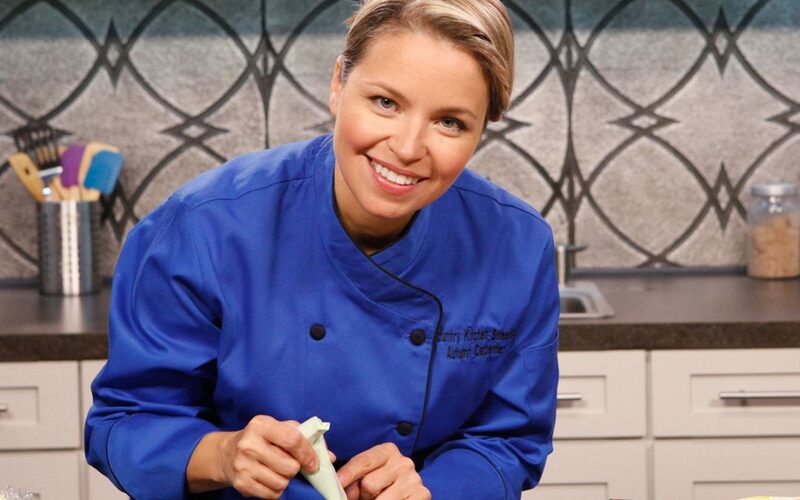 Autumn Carpenter is an internationally known confectionery artist, demonstrator and author of 7 books. Autumn has been around cakes, candies and cookies her entire life. Autumn owns a retail confectionery supply store, Country Kitchen Sweet Art- www.shopcountrykitchen.com. Autumn also has developed a line of cookie and cake decorating tools that are distributed throughout the world. Products developed by Autumn are featured on her websites, autumncarpenter.com and sweetelitetools.com. Autumn travels across the United States, sharing her love of cookie decorating and other confectionery arts. She also teaches an online cookie decorating class on www.craftsy.com.